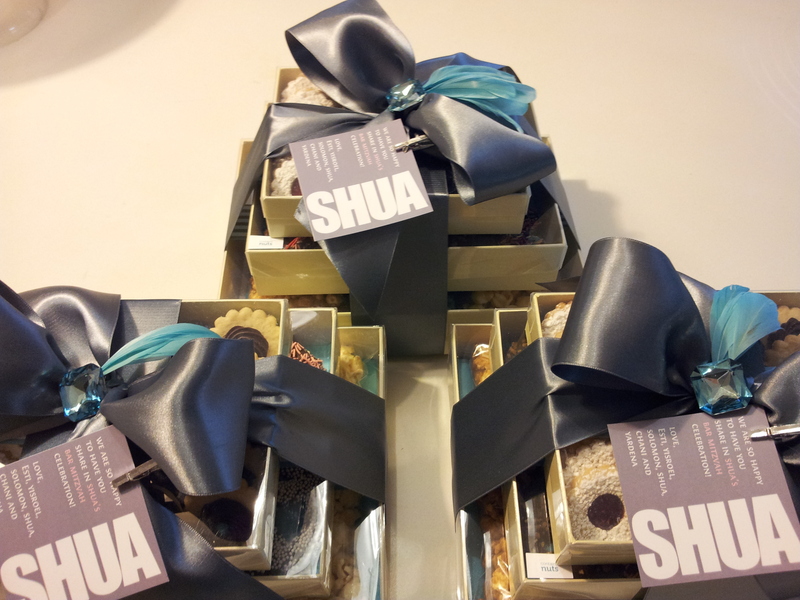 Whether at a hotel, or in people’s homes, À la Mode provides gift baskets for your out-of-town guests. Gifts can be filled with custom homemade cookies, cupcakes, candy and snacks to your specification. We also provide customized stickers and tags on your boxes, water bottles, and gift bags. Our hotel and hostess gifts will convey that special message of gratitude to your guests for making the effort to attend your celebration. And with the delicious, beautiful treats inside, they will thank you for it! 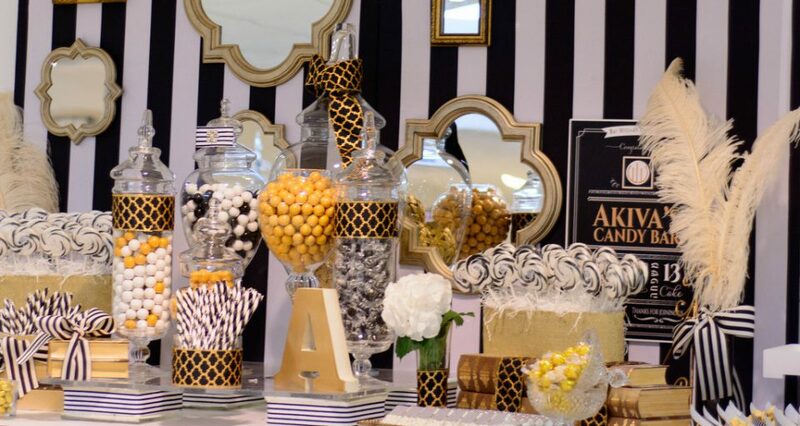 Check out our gallery of hostess gifts.